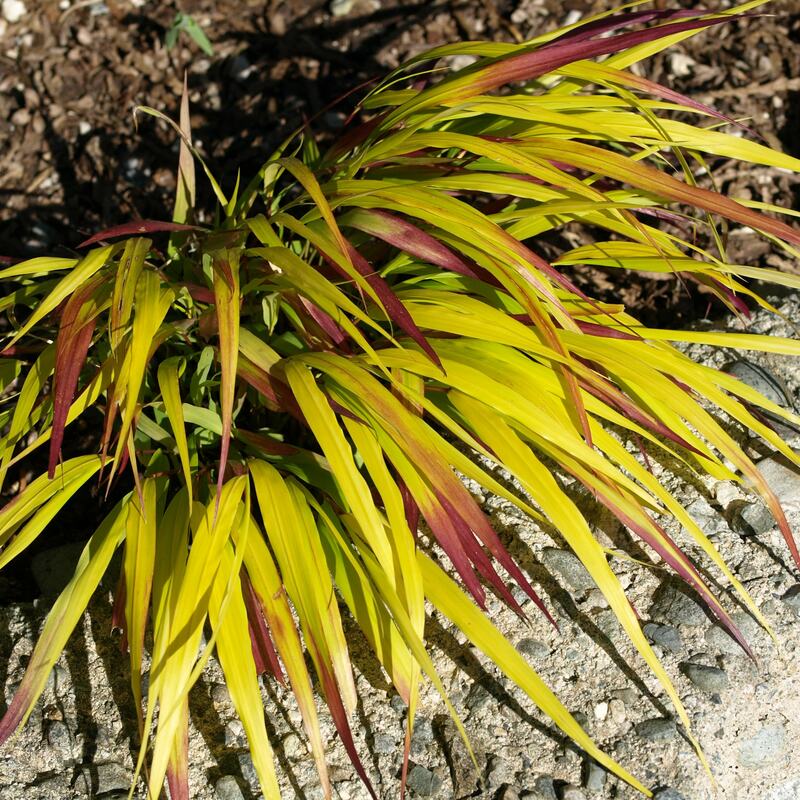 Buy Hakonechloa macra Sunflare ('HABsf1007') (PBR) hakonechloa: A great grass for a pot. Emerging each spring a fresh chartreuse-yellow, the foliage soon develops contrasting deep crimson tips, so the overall effect is quite striking, and as the season progresses, the colours become richer when grown in more sun. As the plant matures the crimson highlights intensify. 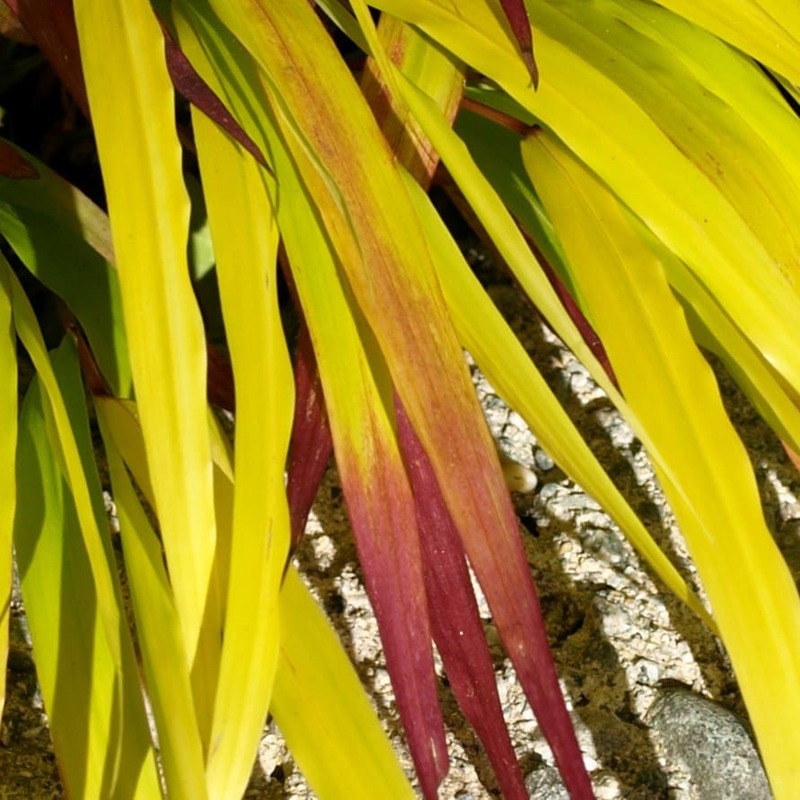 In smaller gardens, Hakonechloa Sunflare is a great grass for a pot, but if there is room, try planting it in generous drifts - or use it to line the edges of a path for a jaw-dropping display. Every garden needs one of these! Beautiful grass with stunning colour. Cant wait to see the colours it displays in the Autumn.